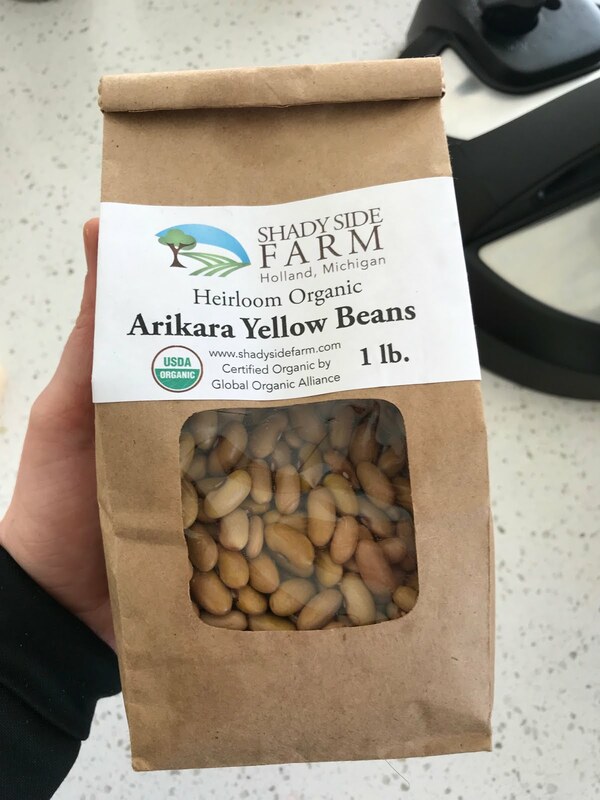 A while back, I bought some beans from Shady Side Farm at our local farmer’s market (https://shadysidefarm.com/). 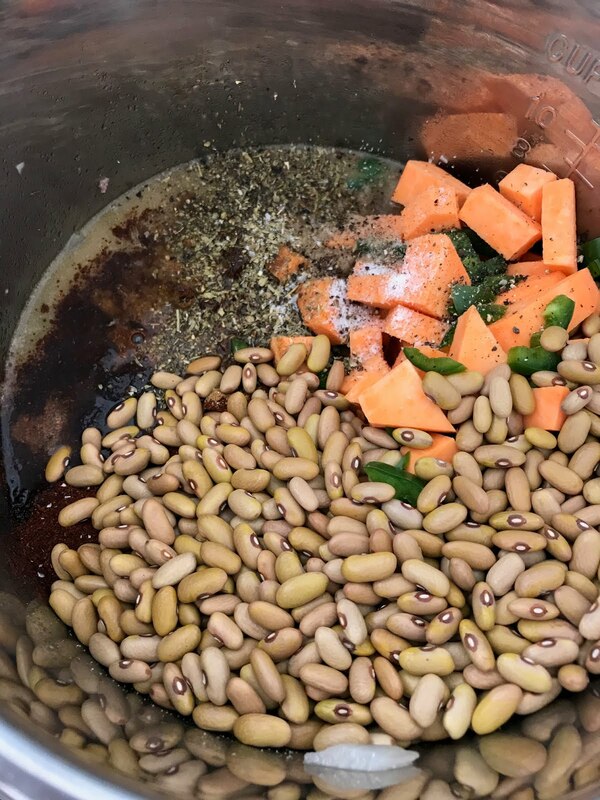 They have such a wonderful variety of beans and even though I use canned beans often for the convenience, fresh beans just taste better! 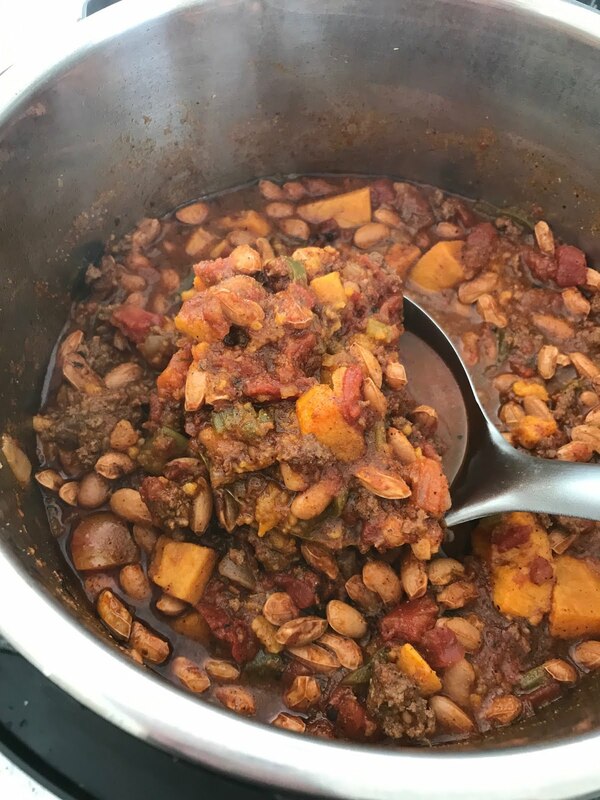 If you have a pressure cooker, they cook up in under an hour and add great texture (and nutrition) to chilis and soups. 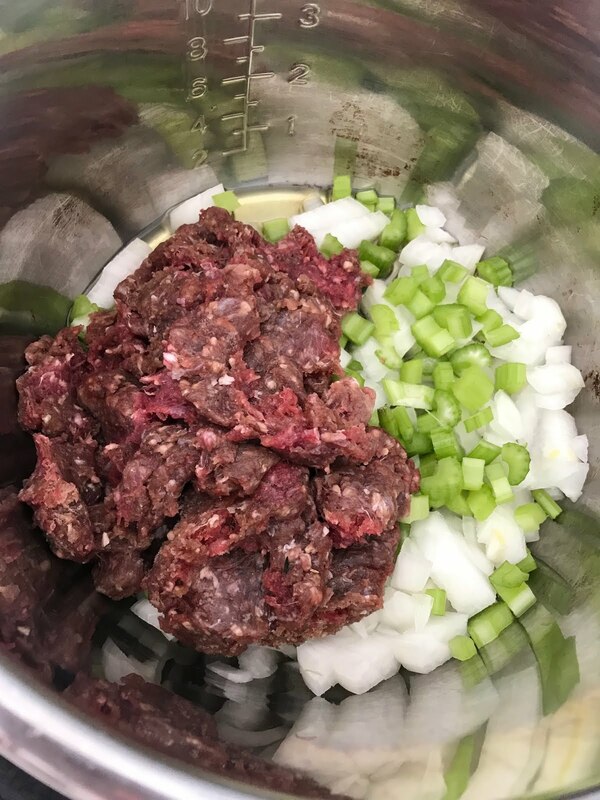 If you would prefer to use a slow cooker, simply brown the beef, onion and celery and add to a slow cooker; add the remaining ingredients and cook on LOW for 8 hours. 1. 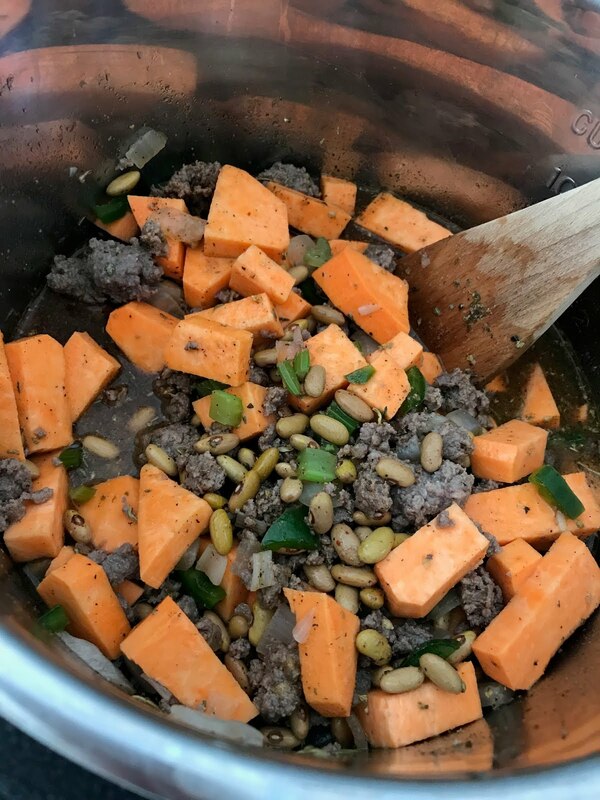 Turn your instant pot to “saute” and add olive oil, beef, onion and celery. Cook until the beef has browned, about 5 minutes. 2. 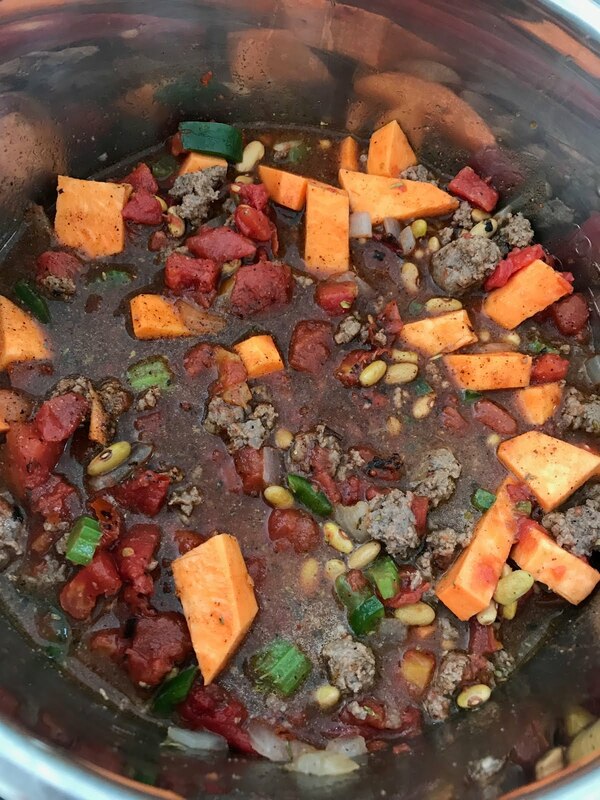 Add beef stock, sweet potato, jalapeno, spices and beans and stir to combine. 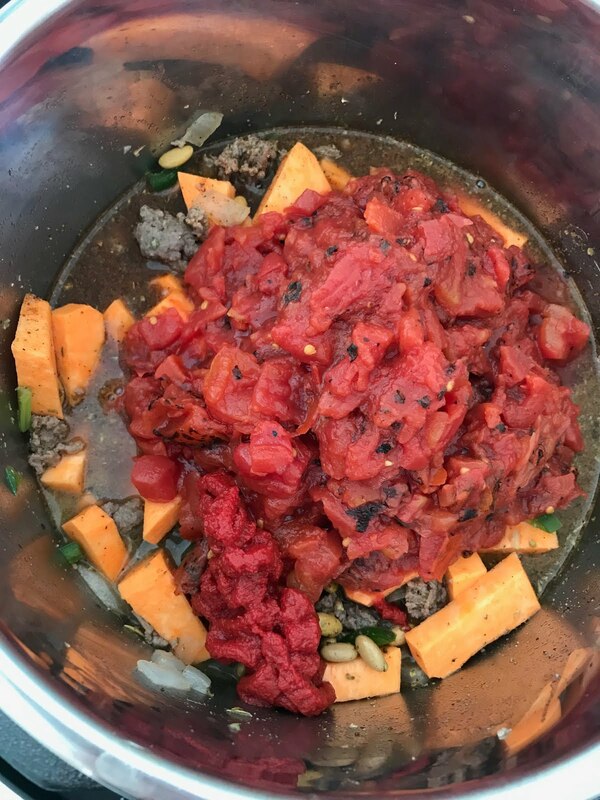 Add tomatoes and tomato paste and stir again. Turn off the “saute” function. 3. Place lid on the instant pot and turn the valve to “sealing”. Cook on high pressure for 45 minutes. 4. Once the time is up, carefully release the pressure. Remove lid and add fresh lime juice. 5. 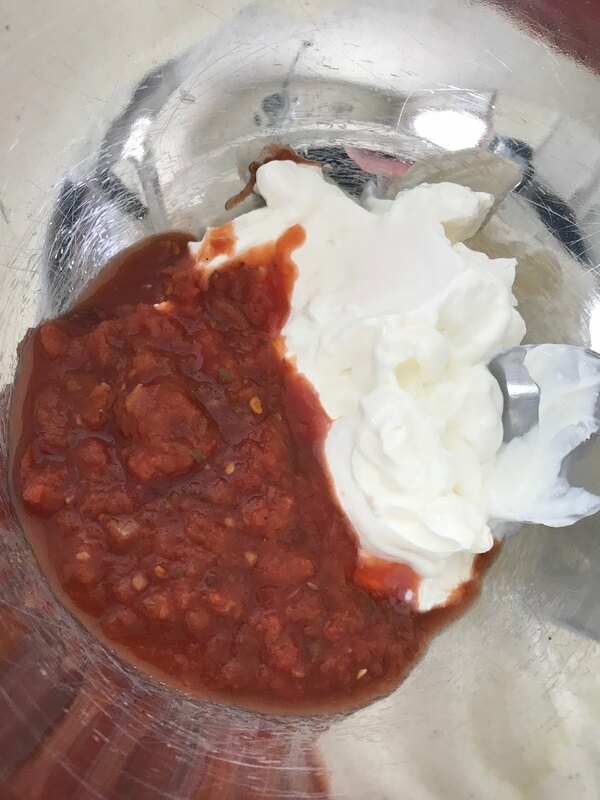 Combine sour cream and salsa in a small bowl. 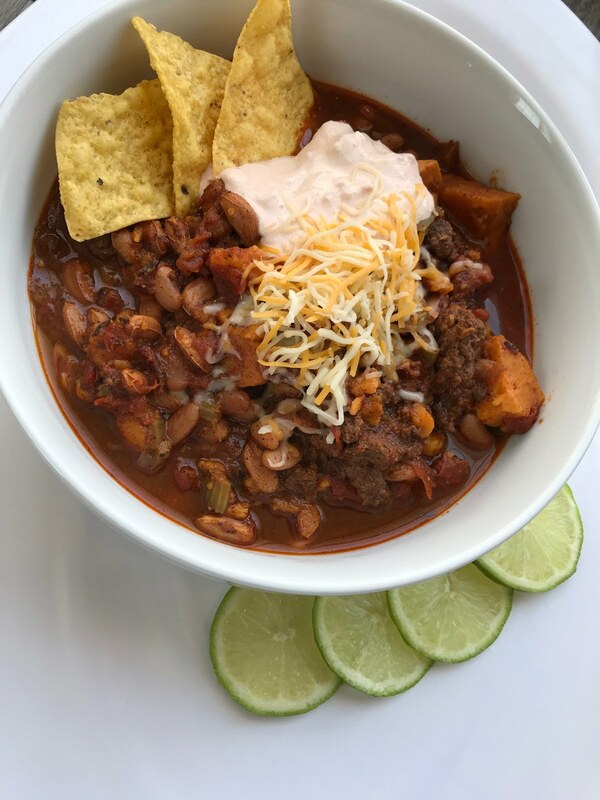 Ladle chili into bowls and top with the sour cream mixture, cheese and tortilla chips. Like this? Share with friends! I have a similar recipe, use ground Turkey and zucchini, add lentils. Love my IP and miss you Chef Jen! That also sounds delicious! I will have to try that. Miss you too! Got a party coming up that you need catered? Interested in sharpening your cooking skills? No matter what you’re looking for, I’d love to help you! 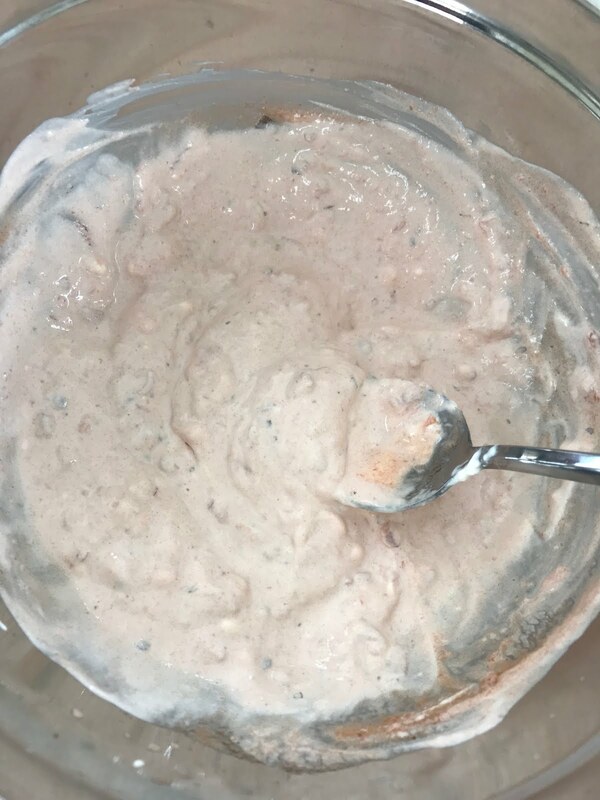 © 2019 Chef Jen. All rights reserved.